The following is the 11th in the series "Live Your Brand" in which branding expert Melanie Spring takes us along on her three-week road trip across the country to meet innovative entrepreneurs whose experiences offer lessons learned to businesses big and small. Like the beginning of most startup stories, a group of people had a problem and couldn't find a solution, so they made their own. 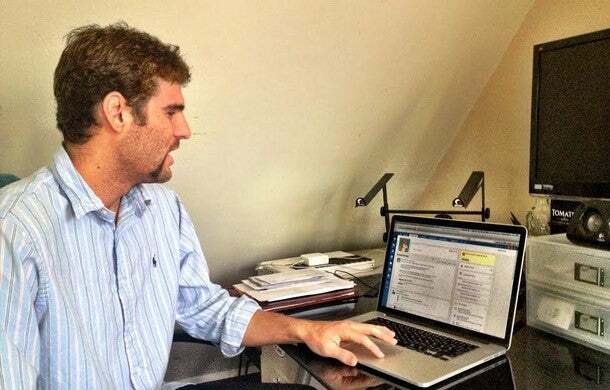 In 2009, Jordan Pease and his fraternity brothers couldn't find an easy way to set up events, email their friends and keep track of their brothers privately. To solve these issues, they developed WebGreek.com, a platform focused on creating a private online space that was community-driven and kept track of everything going on with their friends. It spread like wildfire in the fraternity and sorority community. Shortly after, they noticed a parallel market -- membership organizations. By 2012, WebGreek was an online and mobile app changing the way organizations interacted with their members. Not wanting to silo themselves, they rebranded as Groopt -- a private, productive space for your (fill in the blank). Utilizing the freemium model, everyone from books clubs to moms' organizations and running groups could stay in touch with each other. As they started learning more about larger member organizations, they built a suite of activity apps to suit those needs. Sending group texts or emails, voting on ideas, buying or selling items, sharing files, updating your organization's website and scheduling events are all in one place. With these features, Groopt is now disrupting a $30 billion market. 1. Start lean, grow lean. Instead of getting funding, Jordan and his best friend raised a small amount of friends-and-family money and bootstrapped the company. They focused on having a small team of really smart, passionate people working with them. The duo also initially focused on a no-frills office atmosphere, choosing to invest in their team. With 10 full-time employees, half of Groopt lives and works in the same place -- a San Francisco-style home with common areas and lots of bedrooms. 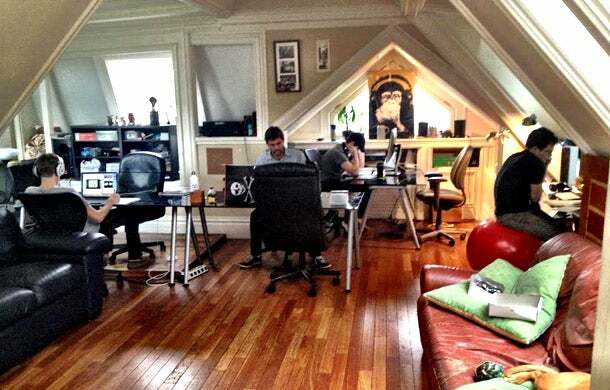 Five live in the three-story office/row house, while the others commute two to 10 blocks each day to the office. 2. Give your employees a stake in the game. "Get the right people. Passion is contagious," says Pease. The Groopt troop is close knit with most of the team meeting in college. To keep this "family" motivated and focused, Groopt offers equity. And although they've all been working together for a few years and the team keeps growing, they've put together a more formal culture statement. This includes an employee appreciation day where they get the whole team together and do something just for the honored employee based on interests. Sometimes it's even a surprise. They also provide small funds for improving the office with things they enjoy. 3. Put thought into your branding. "Branding isn't just a logo, typeface or color: It stems from your foundation," says Pease. "You have to ask yourself who is your team, what is your product, and what is the sentiment." When they started WebGreek, they knew the Greek space and built the business around their knowledge. But moving into a new membership space as Groopt, they had to figure out how to position themselves in a market they didn't fully understand. They researched where their clients were, traveled to meet them and listened to what they had to say. 4. Be ready to make things right. A startup can be a rollercoaster and you have to be ready for the crazy ride. Things will go wrong, launches will not go as planned, and you have to be ready to work hard. One of the biggest hurdles is how to make things right with your customers. "One thing that goes wrong can be shouted through a megaphone, but if you admit your fault instead of denying it, your customers will forgive you quickly," says Pease. Creating a positive sentiment with people who interact with their brand is how Groopt's customer base keeps growing.